The Louisville Offense has been EXPLOSIVE in its 1st two games of the season. But Louisville’s had it easy offensively as Syracuse & Charlotte did not provide much in the way of resistance to the Cards. 2 games, 1508 yards. To put that into perspective Central Florida last year gained 3221 yards in all 12 of its games. Right now the Cards are set to finish 138 yards per game AHEAD of Baylor’s #1 offense in the country from a year ago. What Louisville has done offensively has been nothing short of remarkable…… but they are playing Florida State on Saturday, the #2 team in the country. 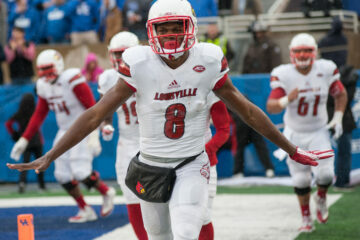 Sure Lamar Jackson’s last 4 games may have been unprecedented in college football but against Kentucky he had 130 passing & 186 rushing in just 38 snaps, against Texas A&M it was 227 passing & 226 rushing in just 48 snaps…..this year in just 34 plays Lamar added 286 passing and 119 rushing vs. Charlotte …..and finally vs. Syracuse Jackson was in on 60 plays and had 411 passing and 199 rushing. Kentucky’s Defense last year was ranked #59, Texas A&M was #51. So far this year Charlotte is 122nd, and Syracuse is 113th. This will be a much different challenge that Lamar has faced in his last 4 match-ups. Currently Florida State is 57th on Defense in 2016 and by the end of the year the Noles will rank much higher. In its opener against Ole Miss the Seminoles limited the Rebels to 380 yards, but FSU made Ole Miss one-dimensional by allowing just 67 yards rushing. The performance was similar to how FSU limited Louisville last season when the Noles won 41-21 and held UofL to 307 passing & just 99 yards rushing. Lamar Jackson had a good day throwing the ball completing 20-35 with 3 TDs and just 1 INT, but Florida State hemmed Lamar in on the ground as Jackson was only able to manage 32 yards rushing in 19 carries. Additionally Lamar failed to see a blitz from FSU’s secondary by Derwin James (who is injured vs. Louisville this time) who was able to get home for a sack fumble that set up a FSU TD. For Louisville to do well vs. Florida State they MUST establish the run so that they do not become one-dimensional like last season vs. FSU. The Noles are going to key on Lamar Jackson throughout the game so the Cards are going to have to figure out how to get some push up front against a very talented front 7 of Florida State. Brandon Radcliff, Jeremy Smith, and LJ Scott will absolutely need to bring their ‘A’ game as well as the Cardinals’ offensive line. But the guy everyone will be looking towards first when the Cards are passing will be DeMarcus Walker. Walker absolutely dominated Ole Miss in the 2nd half during the Seminoles comeback and racked up 4.5 sacks in a single game. So far this season the Louisville offensive line has given up just a single sack, and it wasn’t Lamar Jackson in at QB. But even though Louisville’s offensive line may have improved a great deal from a year ago and Lamar Jackson may understand his protections much better but that doesn’t mean that Louisville is ready for the heat that DeMarcus Walker & Co is going to bring on Saturday. FSU is going to try to pressure Lamar and take the deep ball away from Petrino….because that’s where FSU is the most vulnerable without Derwin James in the line-up. But FSU also has an opportunistic secondary that created 3 Interceptions vs. Ole Miss. So you pick your poison. Ultimately Louisville’s best course of action vs. Florida State on Saturday is to try to remain balanced and disciplined in their play-calling. 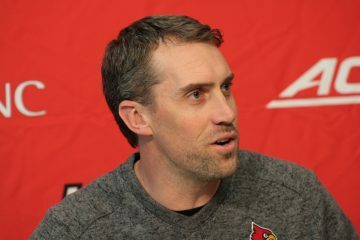 If the Cards have success early with the run game that will pay huge dividends throughout the game. 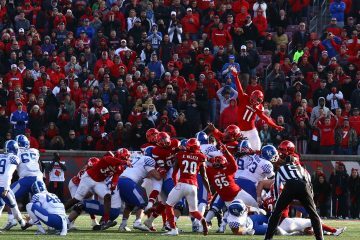 Petrino can’t rely on Lamar Jackson to make every play and instead must have Lamar be the distributor that occasionally makes the big play. 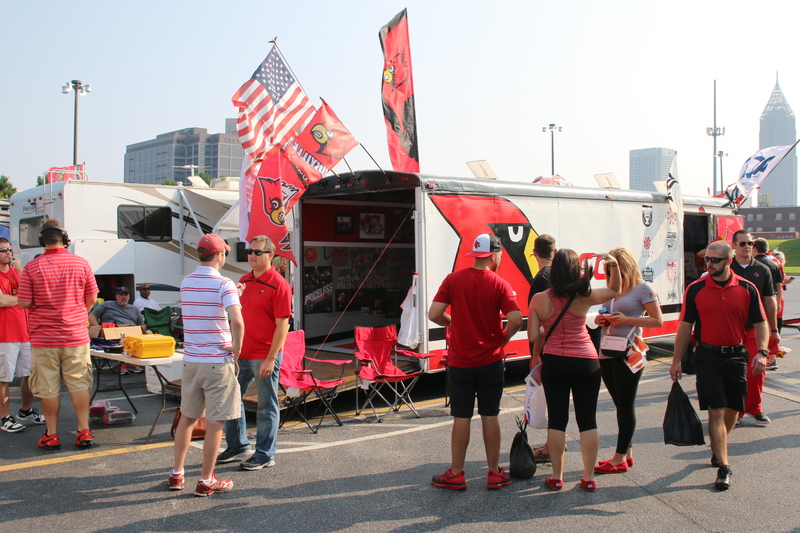 Things will not go as easy for the Cards on Saturday offensively, it’s OK to punt and it’s OK to kick the field goal. Louisville’s Defense is good enough to keep the Cards in it if UofL’s offense has some stumbles so there shouldn’t be a panic moment. Just play football.